It’s not been much of an August in terms of sunshine but June was sweltering and our 16 year olds sat dozens of exams. At that age they wanted to be out in the park or playing football or sending countless Instagram messages to each other. But, instead, they sat in swotting at night, revising and revising for their GCSE exams. We know that the kids have overcome the new exams, the new syllabuses and the news that it will be tougher this year than ever before. We know that the students have done very well, better than expected and better than others nationally. Exam success is not left to chance. Even though the exam syllabuses may be changed every year teachers prepare the candidates to an extent not known to people who went to school 10 years ago. Holiday, evening and even weekend revision classes are standard fare. Warm ups before each exam, students given breakfast and a bottle of water, air conditioned rooms and professional invigilators make sure the kids get the best chance of showing what they have learned. And they have excelled. Here at Chauncy, in a year that has seen a national decline in GCSE results, a record 71% of our young people achieved at least 5 good passes, including English and Maths. 82% of students achieved a good pass in English and 75% achieved a good pass in Maths. One fifth of all grades were at A or A* and the top 10 students achieved 111 of these highest grades. 5 students achieved the exceptional Grade 9 in GCSE Maths. This morning, students have excitedly opened their envelopes, rung nervous parents and screamed or squealed with delight or in a few cases, walked away downhearted. 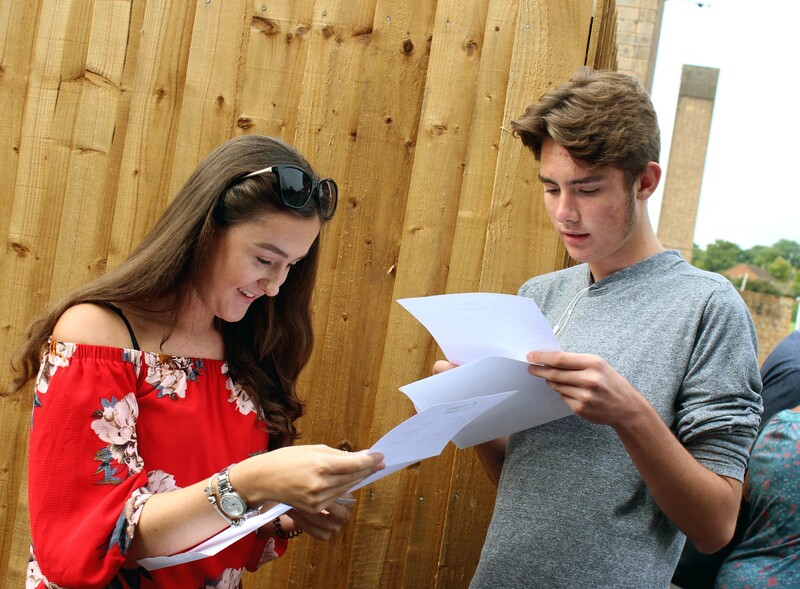 We are delighted with our GCSE results and are already welcoming students from other schools into the 6th Form as we offer a full range of academic A Level courses and a dynamic portfolio of vocational qualifications in Year 12 and 13. Please e-mail sixthformadmissions@chauncy.org.uk or contact Pablo Ardiles – Head of Sixth Form directly via e-mail pablo.ardiles@chauncy.org.uk or telephone 01920 411200.